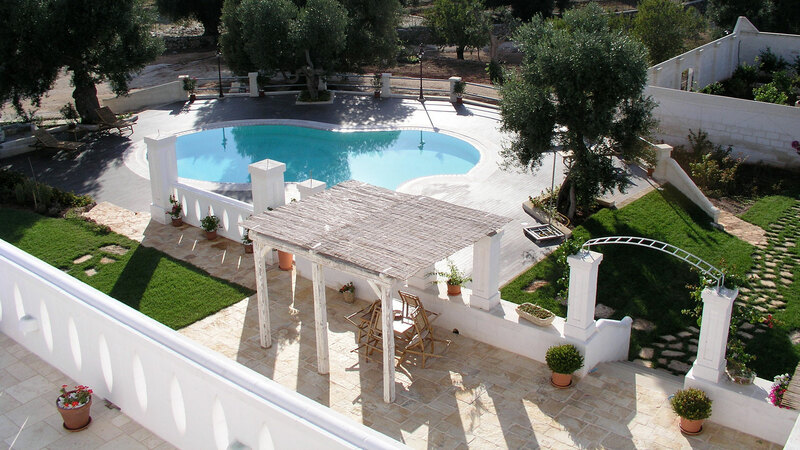 I Servizi - Bed & breakfast Fasano, masseria B&B a Fasano, Brindisi in Puglia. Lamascopone, bed & breakfast con piscina nella campagna di Fasano, Brindisi. Lamascopone Manor Farm has every comfort. Outside, a large swimming pool allows guests to enjoy private moments of relaxation, looking for refreshment in the water or relaxing poolside, taking comfort in the sun. The facility is also equipped with always available wi-fi for all guests. The use of covered parking is reserved for the guests and there’s the opportunity to refresh themselves at the restaurant partner "Albachiara" on the coast of the nearby Savelletri seaside resort.